Type Rating Training: What Is A Type Rating? Earning a private or commercial pilot license is the first big step toward achieving the dream of flight. However, if you are aiming to become a commercial airline pilot, you will need to earn a type rating for the specific aircraft which you want to operate. What does that mean, though? Just what in the heck is a type rating? Well, in this blog we’re going to teach you all about type ratings, what they entail, and why you need one if you hope to fly some of the biggest and best jets out there. When it comes to type rating training in Miami, Alliance Aviation is the name you can trust. We offer a number of type rating courses, ATP certification training, and other flight training to both national and international pilots. Whether you have a simple commercial pilot license or an India DGCA certification, Alliance Aviation can set you up with plane-specific type rating training in order to help you pass your requirements and take off on the career of your dreams. Without further ado, let’s dive into the ins and outs of type ratings. Simply put, a type rating is what allows aspiring pilots to navigate and operate the larger commercial jet planes, such as a Boeing 737 or an Airbus 320. 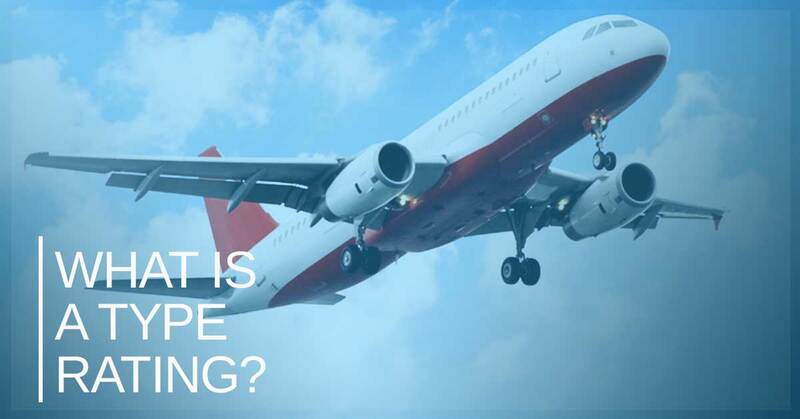 A type rating is basically the benchmark required by standardized agencies, such as the FAA in the United States, in order to operate certain types of aircraft. Type rating certifications are required in addition to the initial commercial pilot’s license as well as the specific airplane class training. In the United States, for example, both the pilot in command and the second in command must have specific type ratings related to those titles in order to fly both domestic and international commercial aircraft. In order to earn a type rating, pilots must first decide which type of plane they want to fly. The options are varied, though it’s likely wise to choose a type of plane that is readily available with plenty of jobs to go around. Then, pilots must go through and pass rigorous testing, including several thousand hours of flight training, written exams, and more. When seeking this type of certification, it is beneficial to first go through type rating training in order to better prepare for the rigors of the exams. Alliance Aviation offers the best type rating training in the Miami area. Call today to learn more. The next thing you need to understand is that there are many different types of aircraft type ratings. This goes back to deciding which type of airline you wish to work for and which type of aircraft you wish to operate. AirBus A320 Type Rating: For pilots seeking an A320 type rating, which is one of the more popular types, we recommend this type rating course. With more than 80 hours of ground school and several days worth of systems integration training and flight simulation, you’ll get the experience and know-how required to operate an AirBus 320. Boeing 737 Type Rating: Many of the major U.S. airlines operate Boeing 737 jets. If you seek to become a commercial pilot, you’ll certainly want a Boeing 737 type rating. Students seeking this type rating must have a CPL with appropriate category and class ratings, as well as an instrument rating. This type rating course grants you access to the best flight simulators and instruction in Miami. To learn more about type ratings and type rating training, simply contact Alliance Aviation. We want to help you take off on the career of your dreams!